10 Knit or Crochet Skirts You’ll Adore! 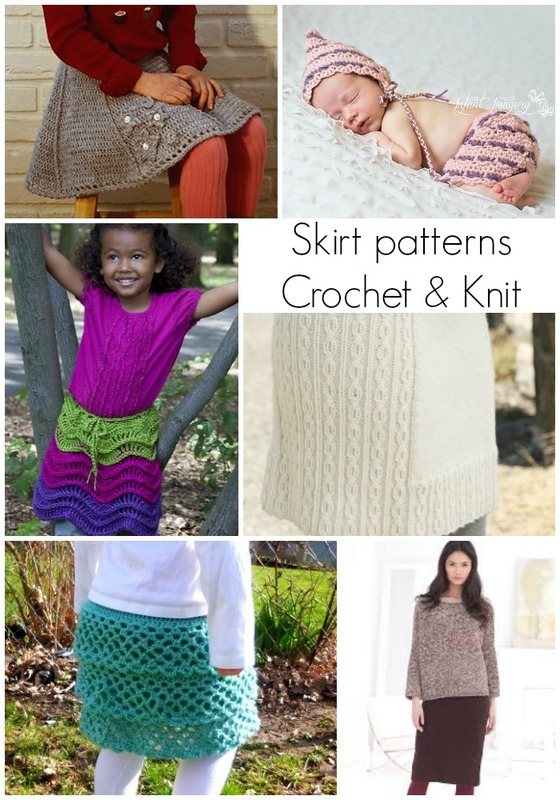 Knit and Crochet Skirt Patterns! Perhaps it’s my small town hippie roots showing, but I’m a sucker for a cute knit or crochet skirt! So when Celina Lane of SimplyCollectibleCrochet.com contacted me about putting together a round up as part of my Guest Contributor Program, skirts were the obvious choice! There’s something here for everyone, whether it be for a child to wear or for the experienced crafter to try their hand at! Now, if you want to talk about adorable, this newborn bonnet and skirt set is the way to go. Don’t be intimated by broomstick lace. If you can yarn over and single crochet, that’s typically all you need to know. Try this lovely set for someone new in your family circle or a charity. This free crochet pattern has lovely lines and repetition. It’s bouncy and cute! 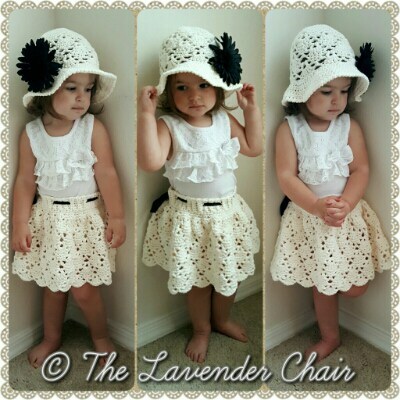 This free crochet pattern brings absolute sass and adorableness with a matching sun hat. Every little beauty needs a set. This gorgeous knitted DROPS skirt with cable pattern in ”Karisma” comes in multiple sizes from S – XXXL. 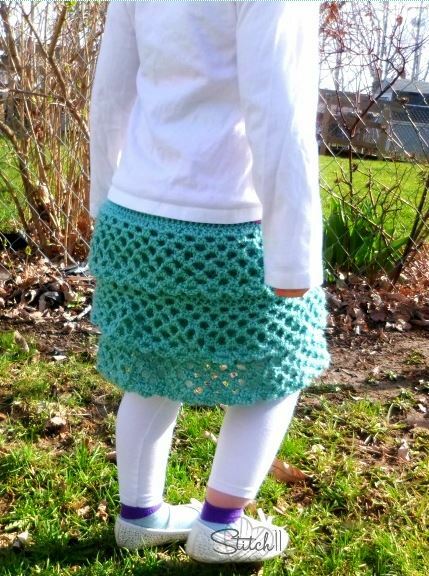 This precious, free, knit pattern makes a full skirt that looks so comfy to wear. This pattern comes in Girl’s sizes 4-8 and 10-14. Chevrons are classic and really pop with the use of color combos. You can even tone it down in a solid color showing off the texture. This is a lovely free women’s skirt knit pattern with gorgeous texture that is quite eye-catching. This pattern works for sizes Medium into XLs. This cute skirt is a classic and essential style to keep in your closet. It is indeed perfect for any wardrobe or time of year. This fun and free crochet pattern is designed by The Double Stitch Twins. Try it with a slip, over a swimsuit, or a pair of leggings for a great look. 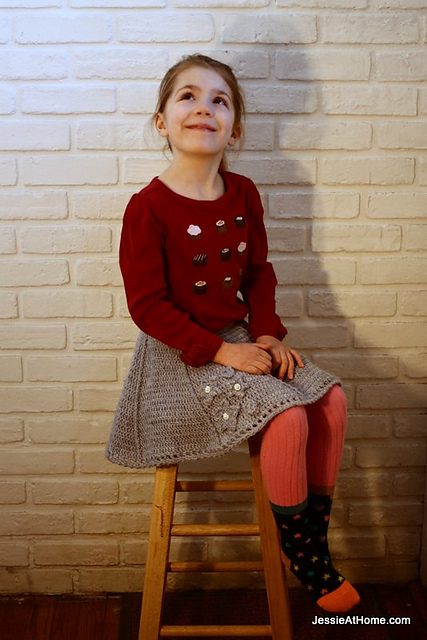 I hope you enjoyed this great roundup Skirt patterns – Crochet & Knit put together by Celina Lane of SimplyCollectibleCrochet.com especially for Melody’s Makings! Which is your favorite skirt pattern? Did you get some great ideas? 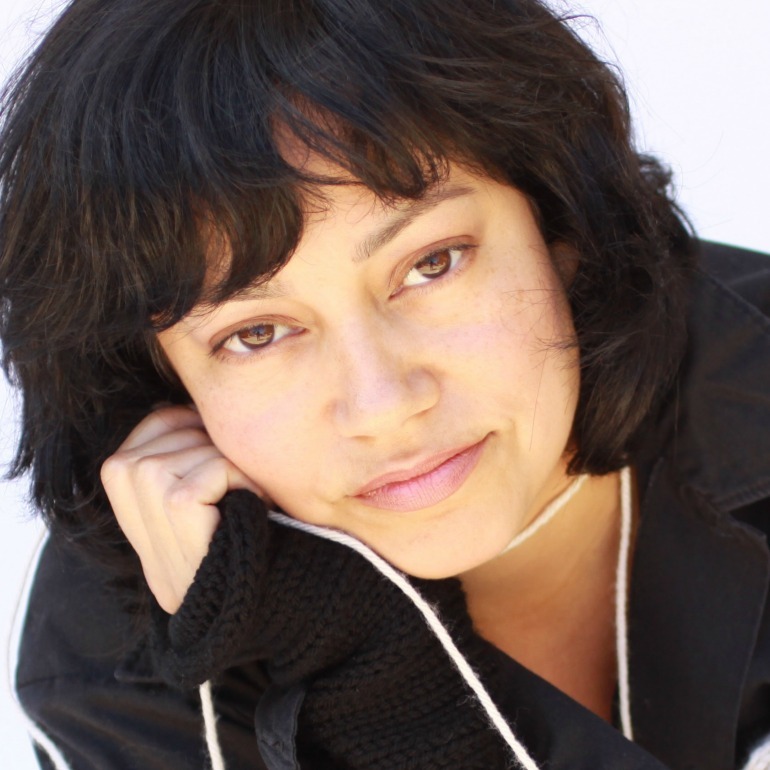 Celina Lane has been working as a crochet designer since 2010. Originally selling patterns on Etsy, she has moved into different arenas, landing in the blogging world. She shares designs of all types and is in the process of retiring most of her patterns to the free market. Be sure to keep up with her by signing up on her website. Visit her site by clicking here. Visit her Ravelry shop by clicking here. The Vintage pattern is adorable! I saw that, besides the skirt & hat, they have a dress in this style. Even though I prefer knitting, I may have to try these. Such pretty skirts. Thank you!